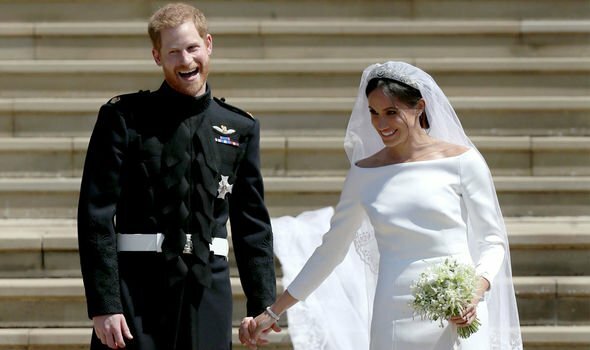 Meghan Markle and Prince Harry tied the knot in 2018, however the Duke of Sussex has lost some of his key attributes since getting married, an expert claims. Meghan Markle and Prince Harry are now excitedly awaiting the birth of their royal baby, with a due date forecast for as soon as the end of this month. The Duke of Sussex has quickly gained a happy family of his own since meeting Meghan in 2016, however a royal commentator claims that he has lost his “fun side”, and his “double act” with his brother Prince William. Podcast “Pod Save the Queen” is hosted by Ann Gripper and features Daily Mirror Royal Editor Russell Myers. In this week's episode, listeners heard from body language expert Judi James.